NABJ Offers Convention Registration Scholarships: Deadline July 1 NABJ wants all members to have the freedom to attend the Philadelphia Convention regardless of their or their employers' current financial circumstances. 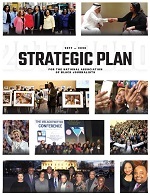 With the goal of providing educational support, career opportunities, and multimedia skills to journalists of color, NABJ is pleased to announce 2011 Convention Scholarships to provide complimentary or partial financial support for registration cost. 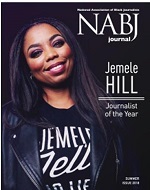 To apply, members must email their scholarship requests to membership@nabj.org. The request must include your first and last name, contact information, and a description of the reason you are seeking support. Members who have already registered for the convention are not eligible. Selected applicants will be awarded a complimentary or partial registration on a first come, first serve basis. The final day to apply is Friday, July 1.